Google Map version 1 has been deprecated officially on 3rd December 2013. So this article aims to give knowledge about how to integrate Google Map v2 in android in Eclipse IDE. 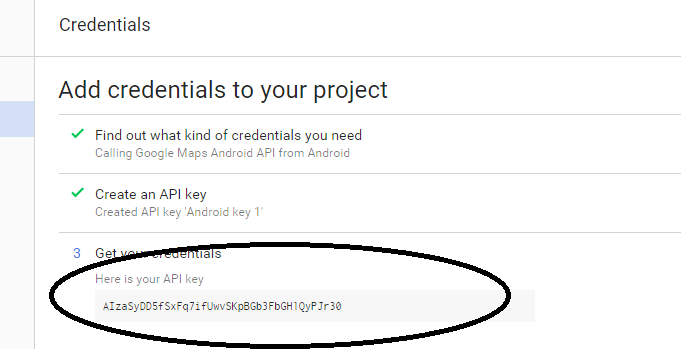 Refer Google Maps Docs for any further topic not covered in this tutorial. 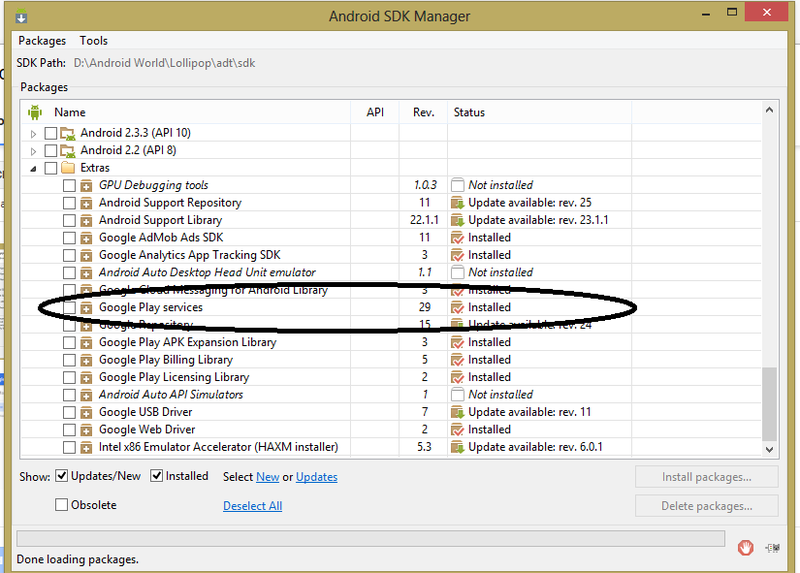 Open Eclipse -> SDK Manager and in Extras section check whether Google Play Services are downloaded or not. If not then download first. 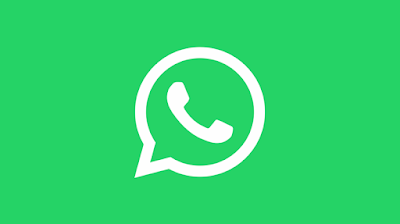 After downloading google play services we need to import it to Eclipse. Go File -> Import -> Existing Android code into Workspace. 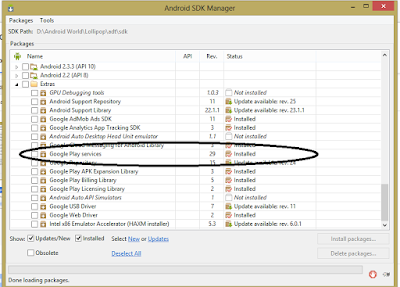 Click on Browse and select google play services folder from SDK folder as sdk -> extras -> google -> google_play_services (importantly select copy projects into workspace) and then finish. 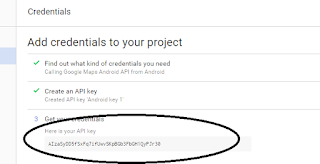 We need to use Google play services as a library so right click on the project and select properties. 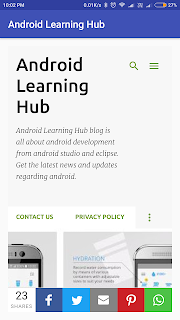 In Android, section select Add and select google-play-services_lib. c) Name the project as MapTest and click create. 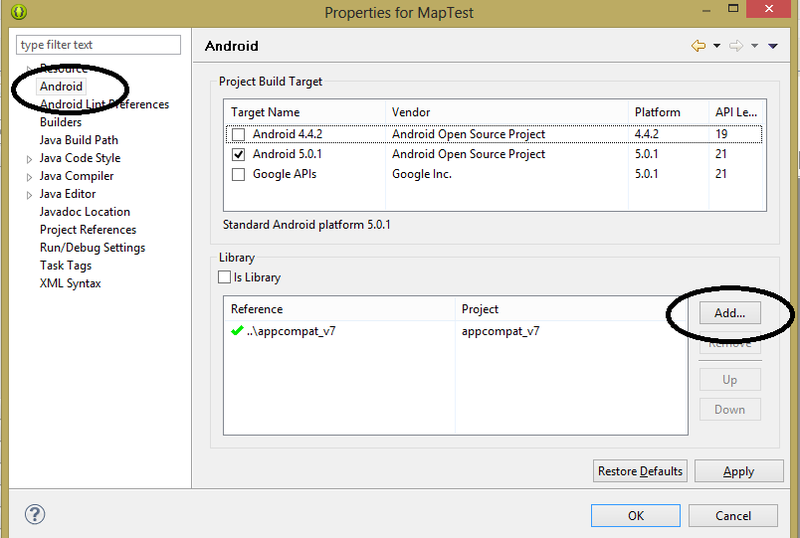 d) Select Use Google API and then Google Maps Android Apis. f) Now select Go to credentials. 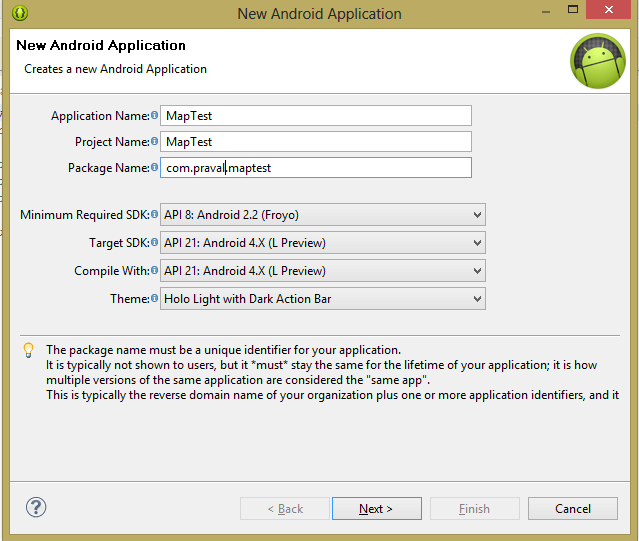 g) select google map API and Android in the first section and now it will ask you to add package name and fingerprint. So again go to Eclipse -> Window -> Preferences -> Android -> Build and copy SHA1 fingerprint. Enter the following information in the console and click Create API key. Now run the project and you will get map displayed.